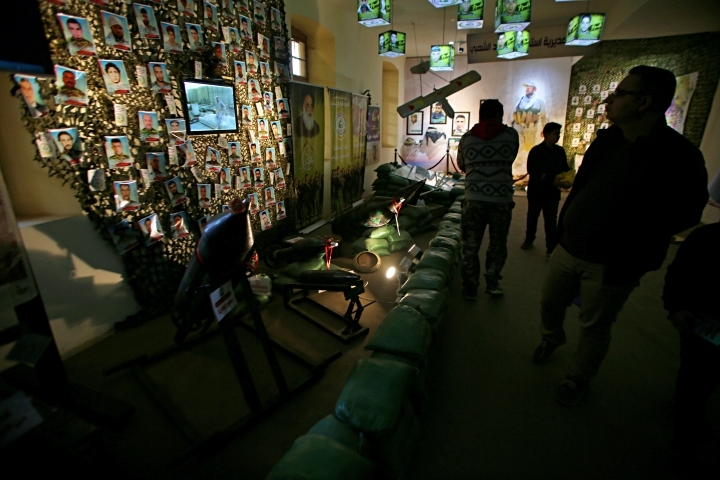 BAGHDAD — A few steps from Baghdad's cultural heart and its famous book market on al-Mutanabi Street lies the Iraqi capital's latest tourist attraction: a war museum glorifying the sacrifices of thousands of mainly Shiite militiamen who died fighting the Islamic State group. 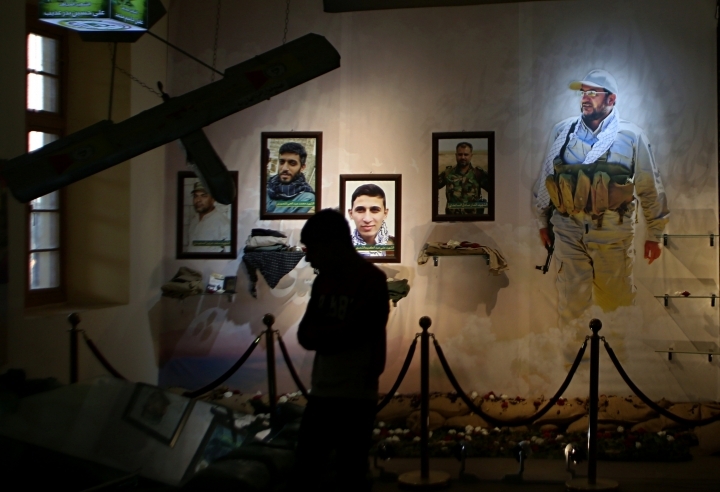 "There are no words to describe my feelings right now," said al-Oukeily, the teacher, tears in her eyes as she made her way around the museum with her daughter. 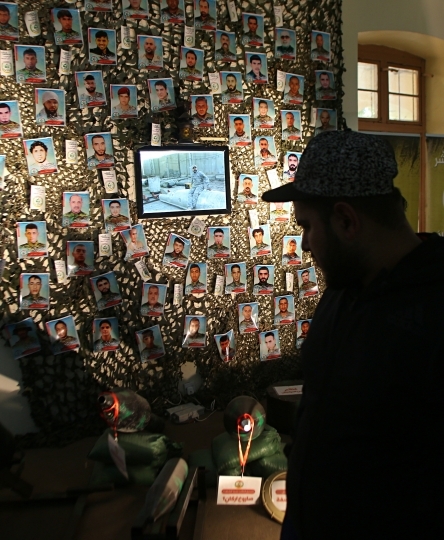 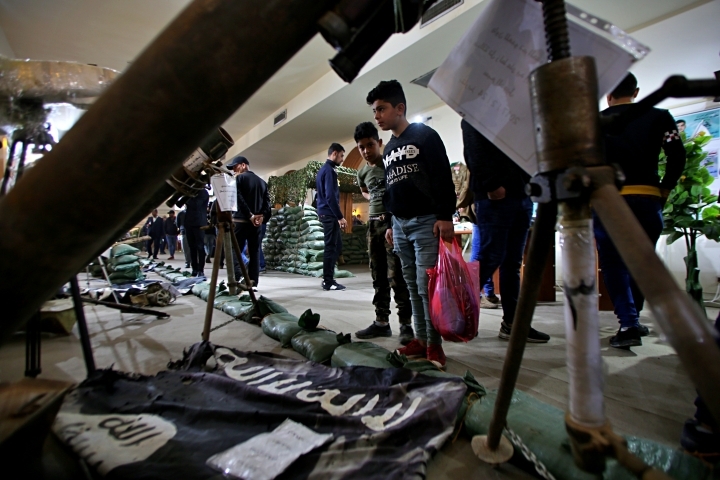 "This is the fate of every Daesh traitor in the land of the prophets in the great Iraq," reads the sign next to the exhibit, referring to IS by the group's Arabic acronym. 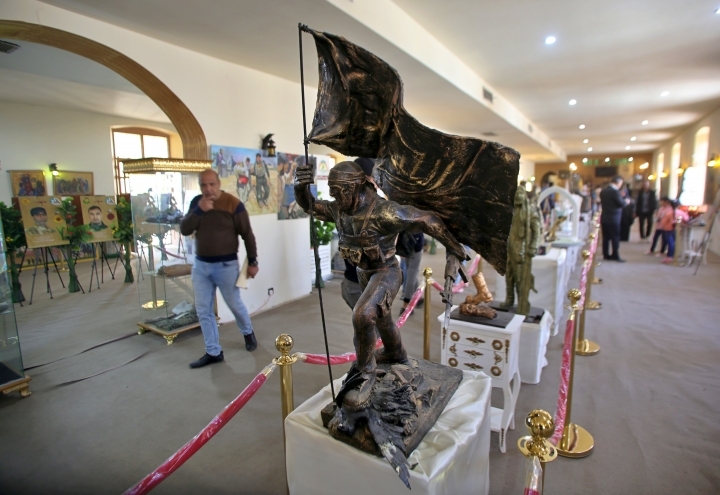 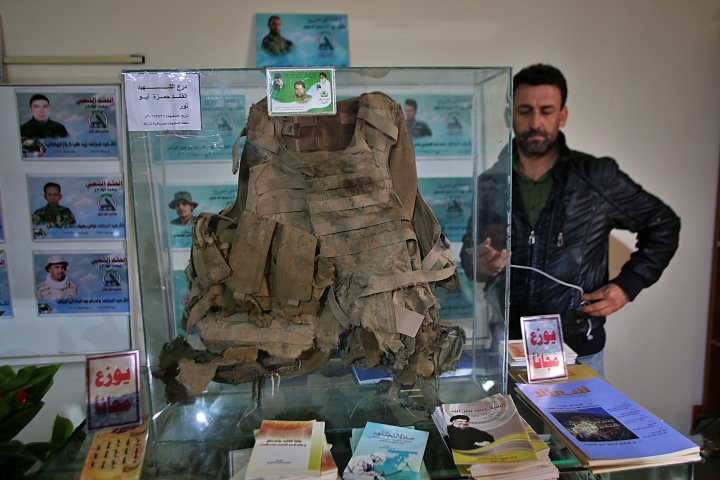 Museum manager Ali Al Shawky, who was a volunteer doctor with the militias during the war against IS, said the idea behind the museum was to preserve the memory of the fallen and "personify their heroic deeds."